When you are looking for the right mobile casino games to play, you may have certain things that you are looking for. One of the things to think about is the name of the game that you are going to choose. 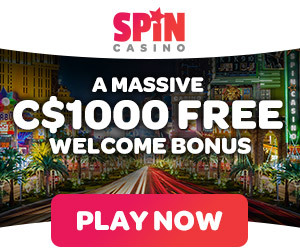 If you want to choose a game that will provide you with a chance to win big, consider checking out the Mega Moolah mobile casino game. Mega Moolah is a 5 reel slot game that has 25 pay lines for its players. It is set in South Africa. The game starts with an introductory movie that helps transport you to the wilds of South Africa. There you will see all the beauty that the wildlife has to offer. In addition to the symbols of Ace, King, Queen, Jack and tens, a player is able to see other symbols such as a powerful lion or a playful monkey. These symbols all provide the player with the chance to win big. The lion is the wild symbol. It can be combined with any other symbols to help create a winning combination. The monkey is the scatter symbol. If you can get 3 or more of the monkeys, you will be awarded with free spins and your winnings during the free spins will be multiplied by 3. There are plenty of other mobile games that offer play that is similar to the basics of mega Moolah. What sets this game apart is the progressive jackpots that are available. These give the player a chance to truly hit the big jackpot. There are four different jackpots available in the progressive portion of the game. The chance to win these jackpots appears randomly. When it occurs you are taken to a different screen where you can spin the wheel of fortune. Depending on where the wheel lands, you can win a lot or you can win a little. The jackpots are progressive. The more people who play this game, the higher the jackpots will climb. If you want to get the chance to win one of these jackpots you need to play the Mega Moolah mobile casino game. It is easy to start playing and does not take long to do. All you have to do is follow a few simple steps and you will soon get your chance to become a big winner at the Mega Moolah game.